Fatigue Testing at WMT&R Inc. 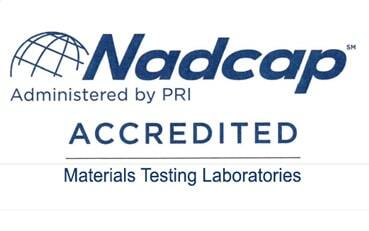 Expedited Fatigue Testing Services Are Available- Contact Us Today! A fatigue test analyzes the behavior of materials while under stress of variable loads. Typically, two loads apply to a material – a specified mass load (i.e., zero) and an alternating load. These loads cycle and measure until the material fails. This failure of a material under fatigue is called fatigue life. Fatigue degradation (fatigue life) is not limited to metals, and most engineering materials (ceramics, composites, aggregates, etc.) are susceptible to fatigue damage. The strength of materials is a measure of its ability to resist deformation, such as being stretched, bent, etc. Custom Analyzation - We design and write proprietary software to analyze your test results. Superior Turnaround Time - To ensure the best turnaround time on your projects, we design and machine specialized fixtures. Customizable, Extensive Scope – For your unique testing needs we have the resources, experience, and testing capacity to get the job done right. Experts in Fatigue - We are specialists in conducting axial tests on many different types of specimens. These tests conduct load, strain, or position control on servo-hydraulic test equipment at temperatures ranging from Cryogenic to over 2400°F. We have the flexibility and resources to accommodate a wide variety of sample sizes with our machine capacity ranging from 25grams to 1,000,000lbs. WMT&R is an industry leader in Low Cycle Fatigue (LCF) and High Cycle Fatigue (HCF)Testing for the automotive, aeronautic, motorsport, marine, ministry of defense, manufacturing and power generation industries. What’s the Difference Between High Cycle Fatigue and Low Cycle Fatigue? There are three stages to low cycle fatigue testing. The first stage is designed to detect crack initiation on a polished specimen. The second stage is propagation life, which occurs after initiation. The third stage is failure, determined by some percentage of load drop from a stable condition. Unlike LCF, high cycle fatigue (HCF) tests conduct on specimens in force control. These tests determine the number of cycles to fracture for each specimen, and the data can compile into stress-life (S-N) curves. Nominal stress levels in HCF tests are low — significantly below the material’s yield strength. 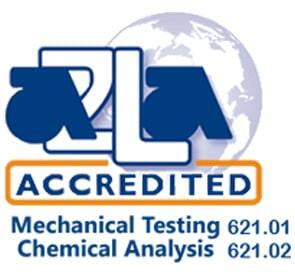 These tests conduct at cryogenic to elevated test temperatures. 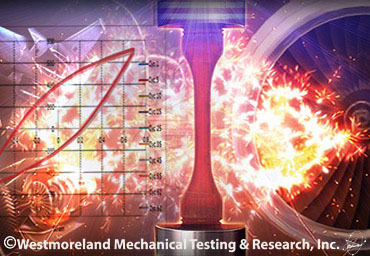 WMT&R is a one-stop source for low cycle fatigue (LCF) machining, low stress grinding/polishing, and LCF testing ready to meet customers’ ISO/ASTM testing requirements. Fastener Testing directly affects every one of us on a daily basis. The cars we drive, the planes in which we fly, and the tools we use to do our work all have nuts, bolts, and fasteners. Our fatigue department is involved with a diverse array of fastener tests including fatigue tensile, wedge tensile, double shear, stress rupture, stress durability, microstructure and chemical analysis. Data reported on this test includes load peaks, strain peaks, hysteresis loops at specific intervals, calculated plastic, and elastic strain, first cycle information, and half-life cycle loop information. 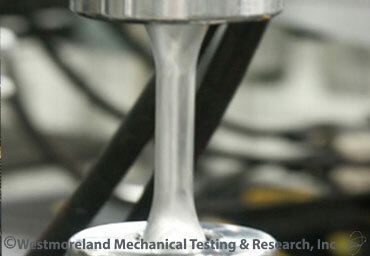 In addition to axial tests, we also test materials in bending and rotating modes. Bending fatigues could involve three or four-point flexural tests or cantilever fatigue tests. Rotating beam fatigues are commonly done and are available at room or elevated temperatures. Machining samples from exotic or difficult material are no problem for our in-house machine shop. 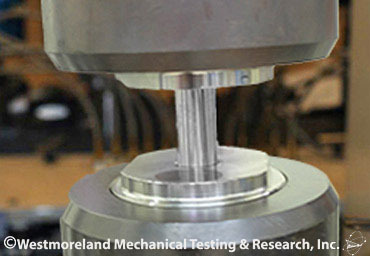 Fastener Testing is a critical component of fatigue testing that affects several sectors. From the cars we drive, the planes in which we fly, and the tools we use to do our work all have nuts, bolts, and fasteners of some kind. Our fatigue department is involved with a diverse array of fastener tests such as fatigue tensile, wedge tensile, double shear, stress rupture, stress durability, microstructure and chemical analysis. The laboratories at WMT&R meet all the requirements of the Fastener Quality Act and its Amendments. For a Complete List of Fatigue Testing Services, Please Request A Quote or Call 724-537-3131.